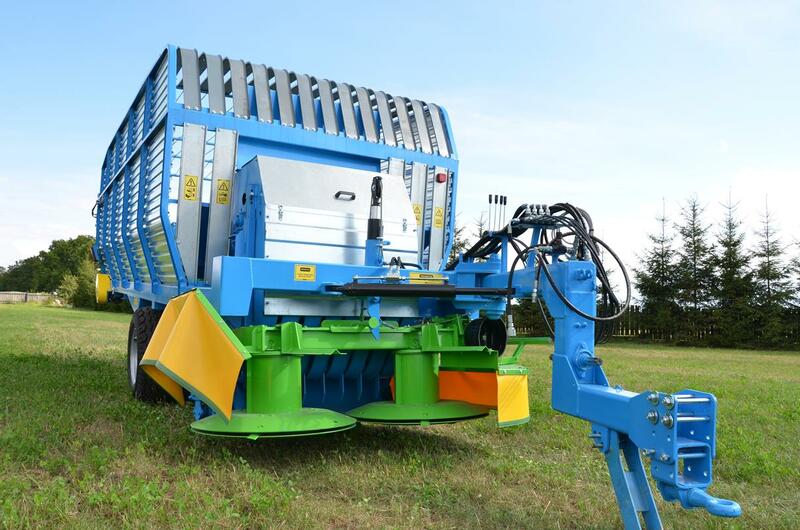 Green Forage Mower T635/3 is a machine attached to a tractor to its lower transport fastener and designed for single collecting low stalk plants with the aim of feeding. Inside the mower a chain rotary has been installed thanks to which while collecting the green forage not a single one is mechanically damaged, it stays fresh after unloading and is excellent for the cattle. 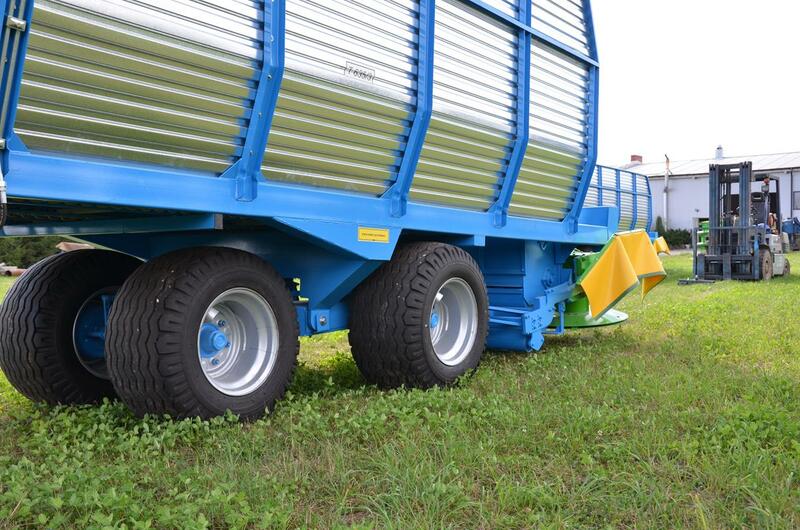 The Green Forage Mower is a combination of lawn-mower and self-loading wagon. 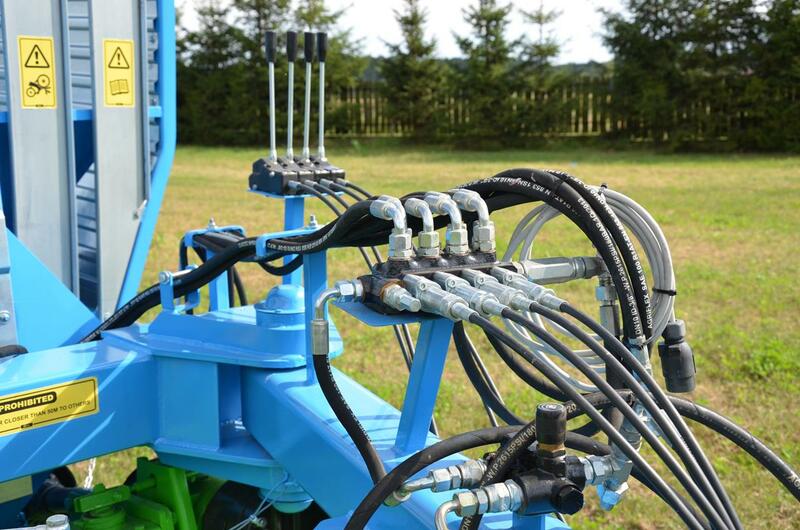 Controlling the Mower is possible through 4-section hydraulic distributor installed to a regulated support. 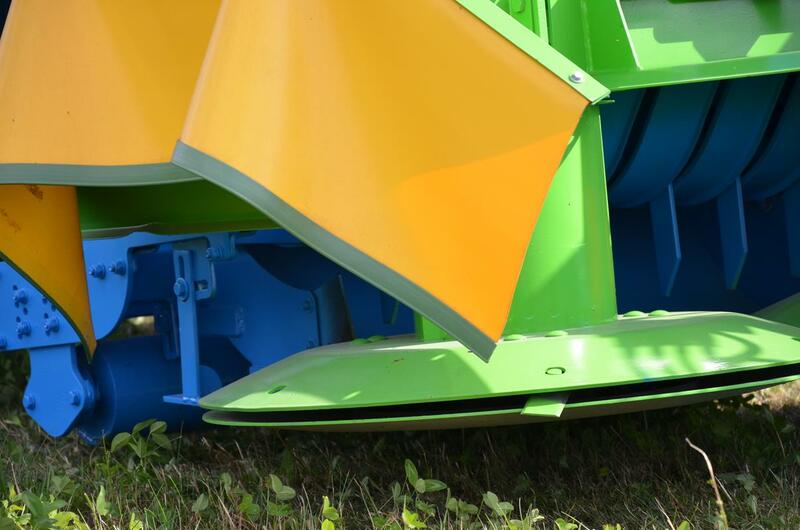 The machine in version of a condensed rotary is used for collecting herb plants and vegetable green parts.